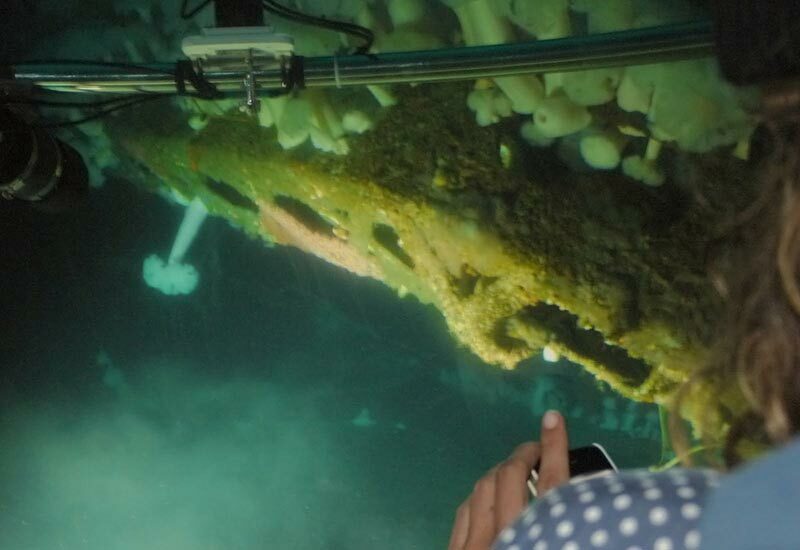 Close up view of the Art Riedel, Sr. 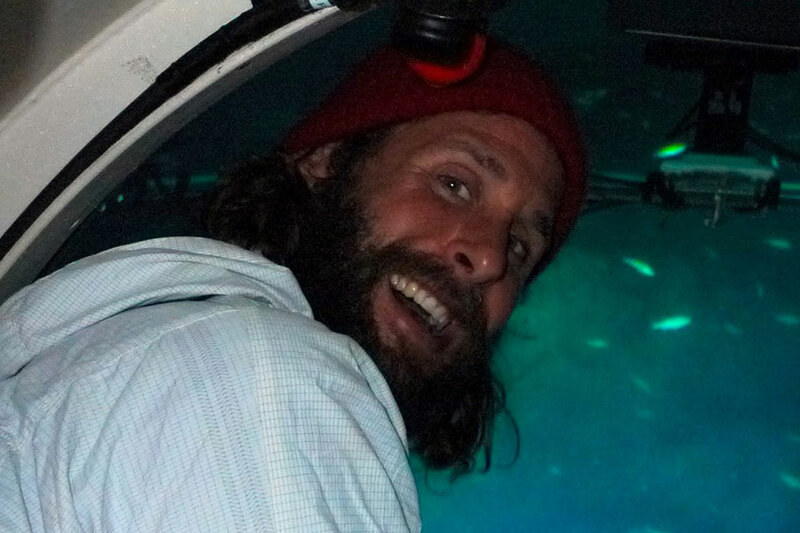 The first submarine dive for David de Rothschild. 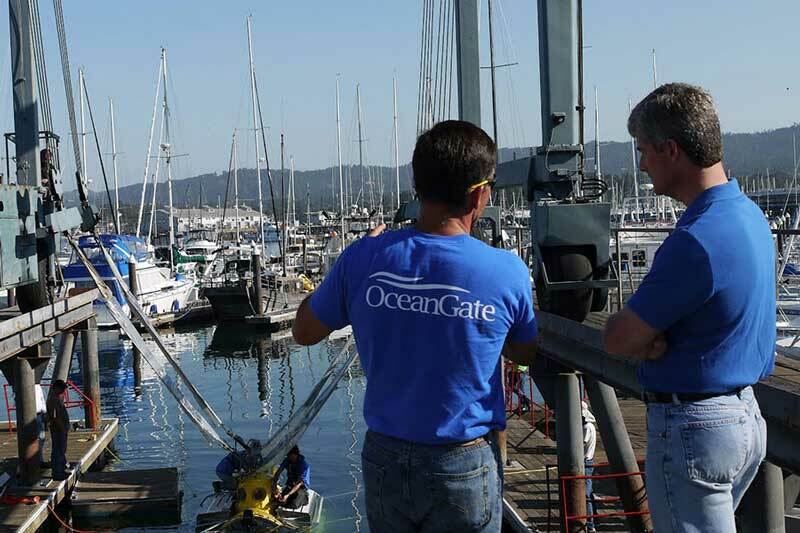 OceanGate co-founders Guillermo Sohnlein and Stockton Rush launch Antipodes. 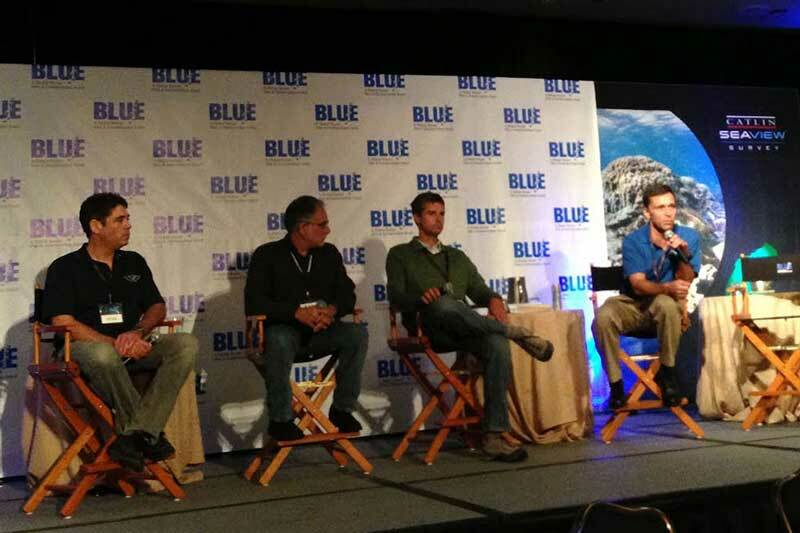 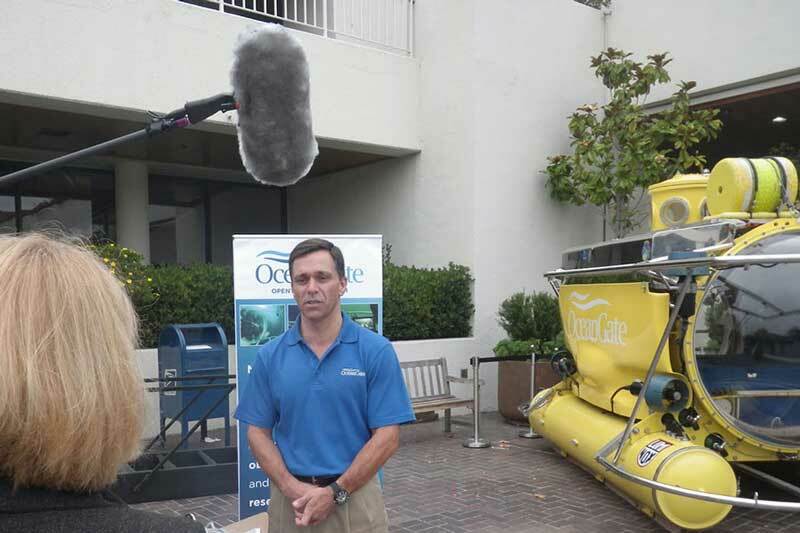 Guillermo Sohnlein briefs the media about OceanGate activities during the BLUE Ocean Event. 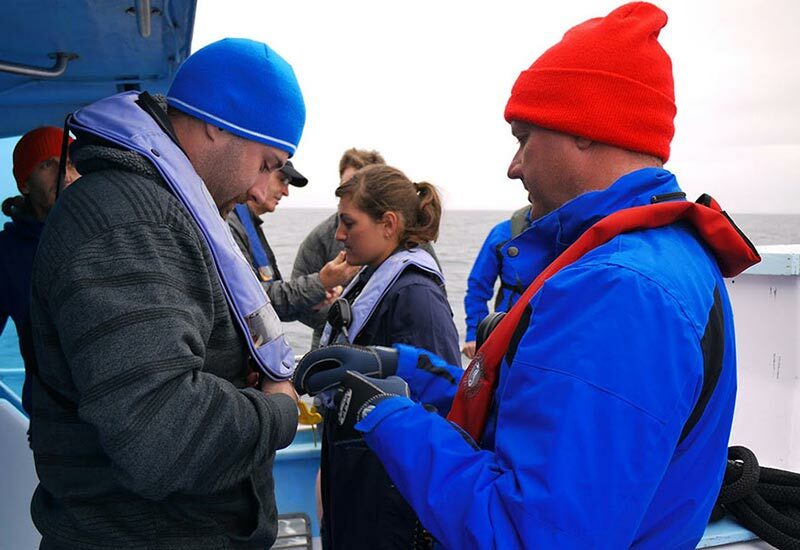 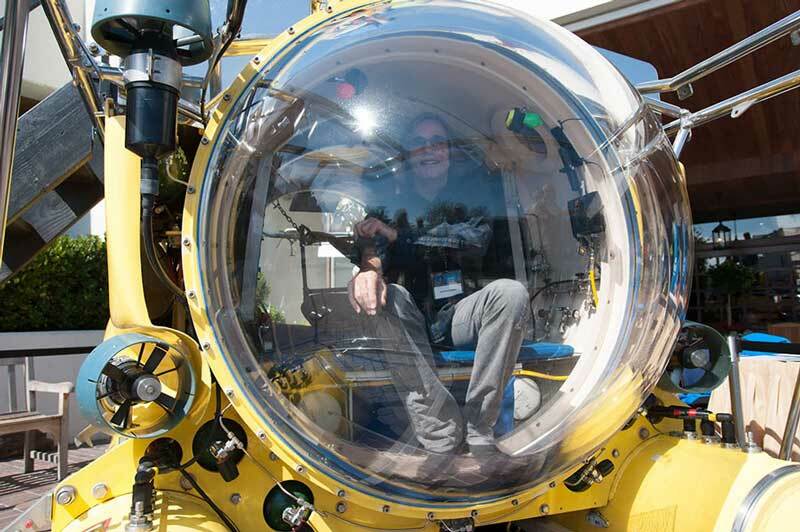 OceanGate's Shane Zigler prepare a CSUMB student for a dive in Antipodes. 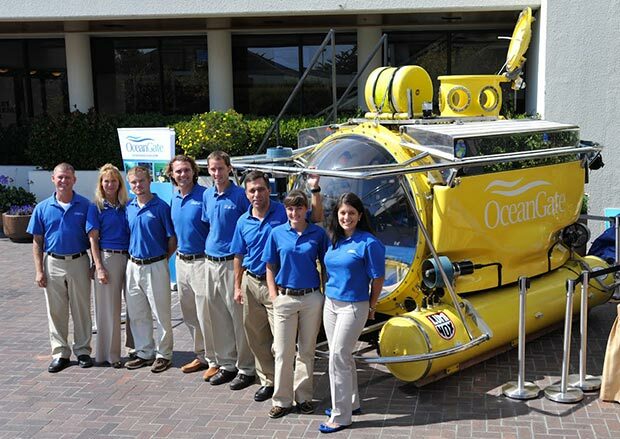 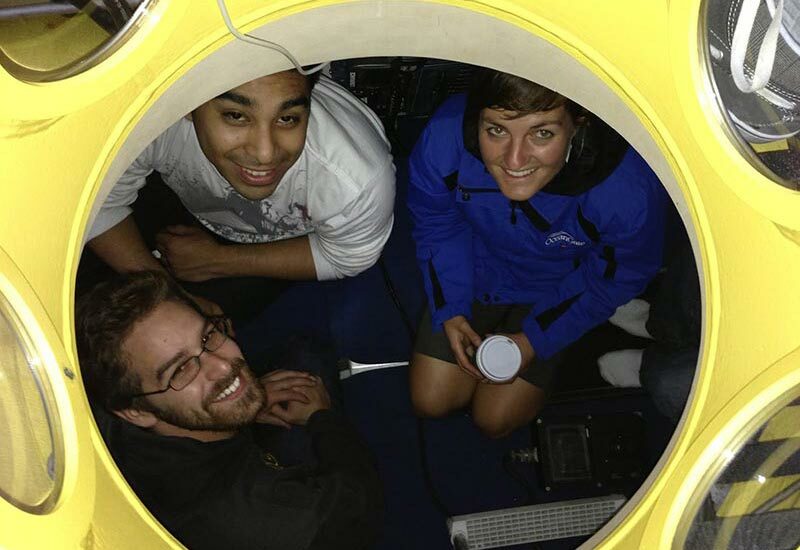 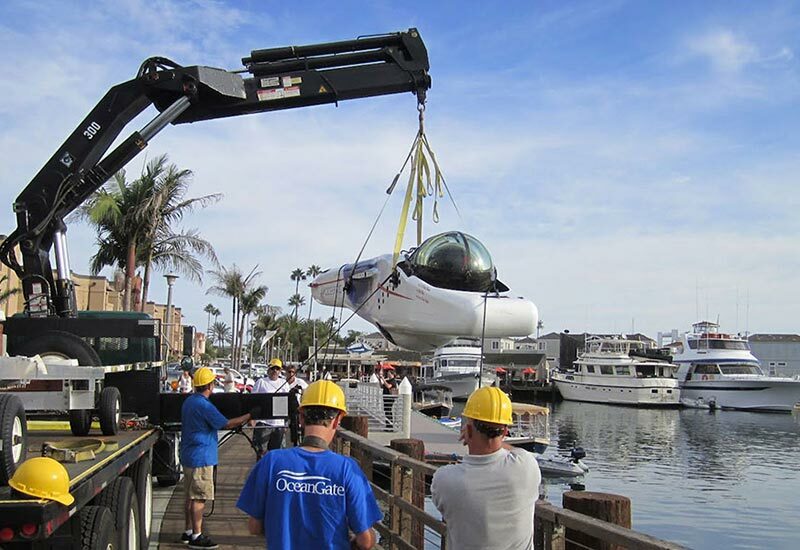 The OceanGate crew transported the DeepFlight Challenger to the BLUE Ocean Event.